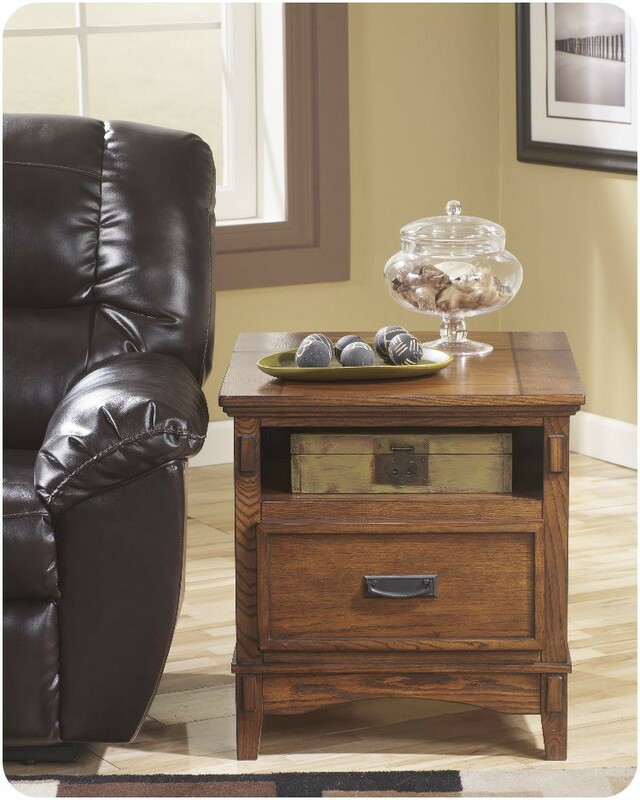 This is the Ashley T719-3 Cross Island End Table from Carolina Furniture.The richly detailed mission design of the Cross Island accent table collection creates a rich country style. 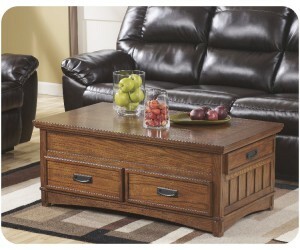 The rustic Arts & Crafts look is achieved with a medium brown oak stained finish over oak veneers and hardwood solids. 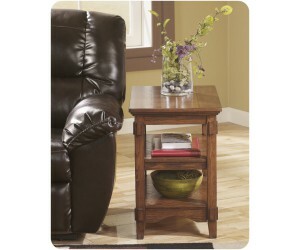 With a traditional look, several of the accent table include features fit for your busy modern lifestyle, such as the lift-top and storage of the cocktail table, the hidden power strip to plug in electronics on the end table, and the console that is designed to work as a sofa table or TV stand. To complete the look, mortise-look ornamentation and cast mission bail handles in a dark patina finish highlight the rustic beauty of finely crafted mission styled furniture.